In this recipe, Bachelor Cooking tackles an old classic and remixes it with some spice that will have you flashing back to a summer camp cafeteria you only wished you could have experienced. Fry bacon in a Cast Iron Skillet . When done remove and set aside. On medium heat in the same skillet cook the onions and bell peppers in the bacon grease. Cook for 2 minutes. Add garlic and ground meat (turkey or beef) and cook until meat is browned and cooked through. Add all remaining ingredients (except jalepeño and cheese) and mix well. Simmer for another 20 minutes over low heat. 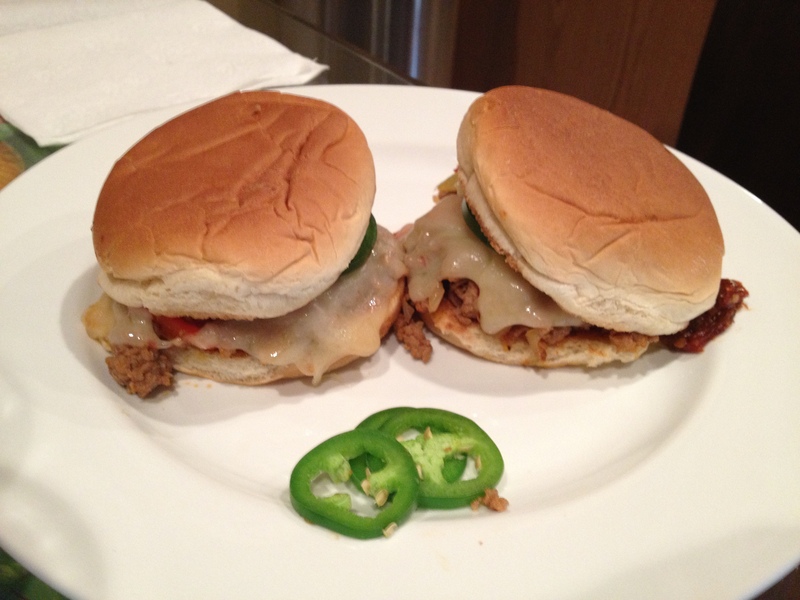 Serve between toasted buns with a slice of cheese and a few ‘peño slices. Goes well with potato chips and a cold beverage. Bookmark Bachelor Cooking and visit often.